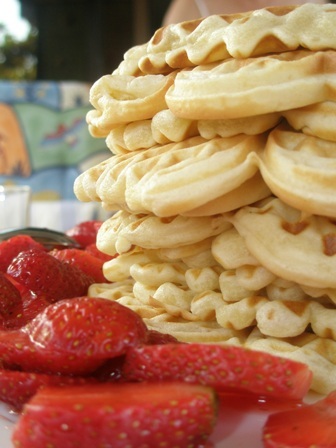 Our daughters Lucy and Charlotte surprised us today with waffles for breakfast. They had to try out the new waffle machine which we acquired yesterday. The sweet waffles cried out for a wine. Well, why not, I thought, starting this Sunday in style. 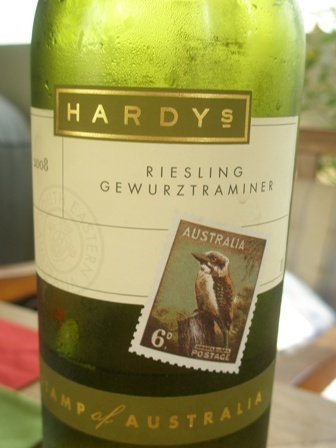 We had this bottle of ‘2008 Hardy’s Riesling Gewuerztraminer’ (11.5% vol. alcohol. ), an unusual blend for my taste buds, left over from last night. With the sweet breakfast it went much better than with the spicy bean soup. The strong lemon aroma of the wine is quite nice but its also oily like petrol (or good Alsatian and Australian Riesling). However, medium dry is “too sweet” for me somehow. I asked myself why one would blend these two varieties which stand on their own perfectly well? I rather enjoy them as single varieties, I must say. I only know of Australian blends of these two grape varieties. If the purpose of a blend made of different grape varieties is to add more complexity to the flavour and texture of a wine, I am not sure if the Hardy winemakers succeeded. “There are more things in heaven and earth, Horatio, than are dreamt of in your philosophy”. I had arrived the very morning from Bangkok. 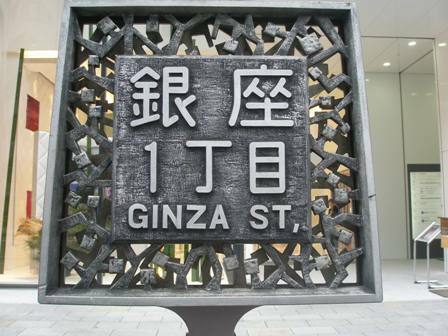 Nonetheless, my colleague Walter and I, we went for a stroll and checked out Tokyo’s main shopping district, the Ginza. Of course we also needed food, and Sushi was our preferred choice. 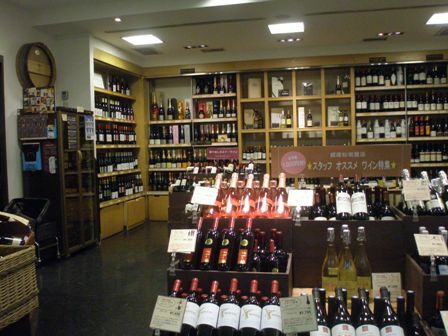 Wine and drink was secondary those days, despite the many wine shops I discovered during our stay. I should not have wine worth writing about. We also stayed away from Sake it turned out later. Well, Sake next time. 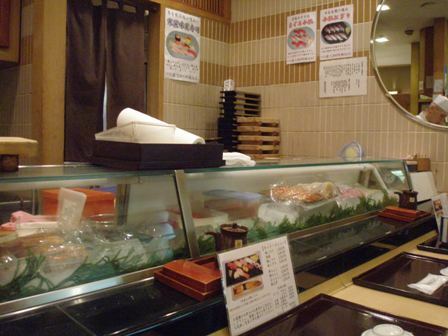 But small Sushi eateries were all over the place. Below “our” place, a tiny shop where we ended up just by accident. 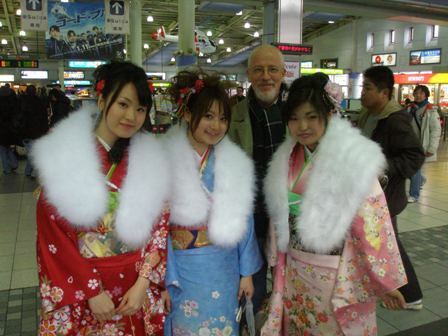 The customers and the staff of the place were truly charming. 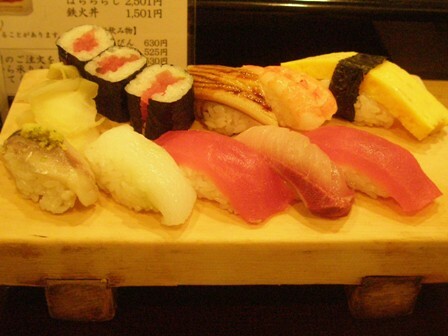 We could not resist and ordered some Sushi, just Sushi. It was wonderful food. Two wide eyed foreigners utterly satisfied; Japan here we were. I started the day with a lemington, a sponge cake and one of the two Australian national desserts (the other one is Pavlowa). It’s Australia’s national day again. On 26 January 1788 the so called first fleet landed at Sydney Cove and today Australians are commemorating this event. Also we did celebrate, though muted. It was a normal school day for the children and a normal working day for the parents. 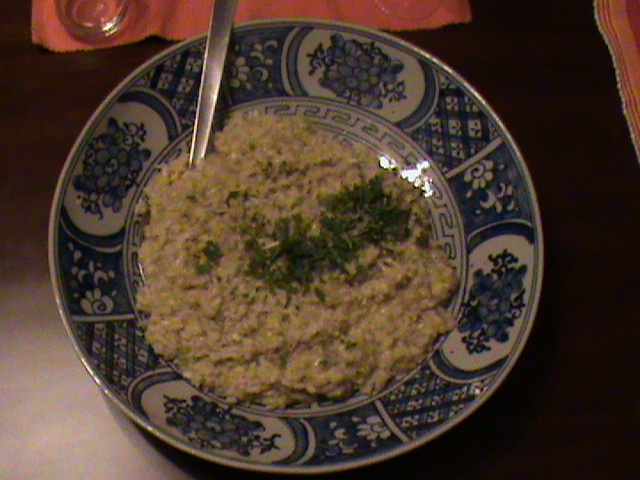 But we cracked a bottle of sparkling tonight which we had with the celery risotto. The sparkling came from New Zealand, which was given to us by our former neighbors Alain and Keiko. 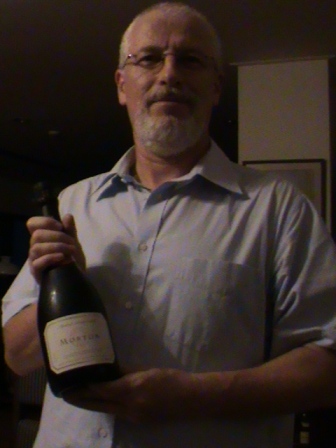 It was a ‘Morton Premium Brut’ (Methode Traditionnelle, no vintage), made of Chardonnay, Pinot Noir and Pinot Meunier, a blend from Hawkes Bay and Marlborough grapes. 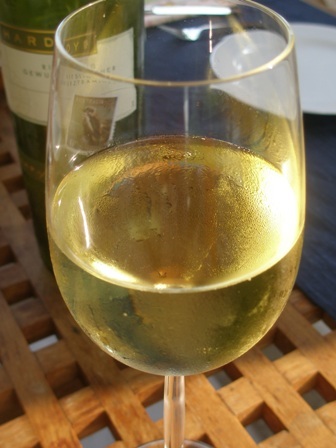 It’s a very creamy bubbly with buttery yeast aromas, easy to drink (12% Vol.). The wines won a couple of silver medals in 2008, 2007 and 2006. It also gained some recognition in a few wine buyers guides (for instance Michael Coopers Buyers Guide). 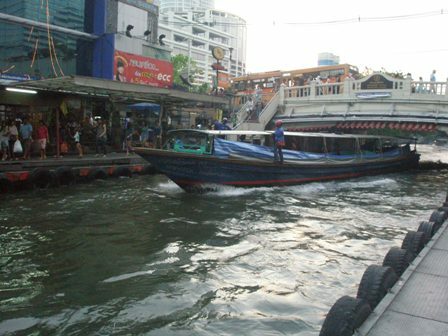 We took the water taxi on the San Saep Khlong at the end of Thonglor in order to join the 255 million people worldwide who were celebrating the life of the great bard of the Scots, Robert Burns. In fact his birthday is today on 25th January. We felt great knowing that we would be among his followers again, drinking, eating the haggis, and listening to the various addresses and speeches, and at the end singing together ‘Auld lang syne’. 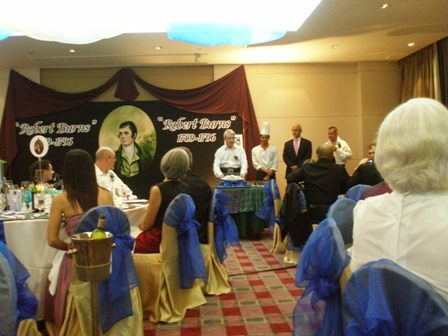 The Bangkok St. Andrew Society Burns Supper is a wonderful event. We had been there last year, therefore, the 2010 celebration was ‘a must not miss’ on our social schedule for the year. 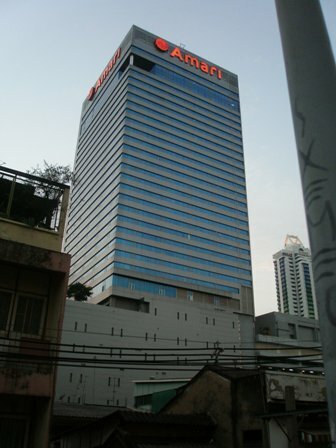 About 90 to 100 faithful, Scots and their friends from all walks of life, had gathered at the Amari Watergate Hotel. We arrived an hour early (we had missed an e-mail) but spend the time enjoying a glass of white wine and talking to some of the other members of the Society. After the Chieftains’ welcome and the toast to the King of Thailand, the Selkirk Grace, a prayer was said by Caroline Elliot. 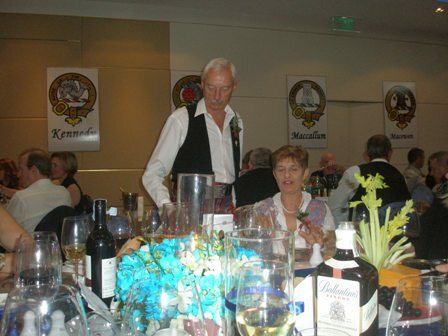 After that the haggis was piped in by Mike Brooks and toasted by us, the guests. The address to the haggis was delivered by Chieftain Willie Christie. 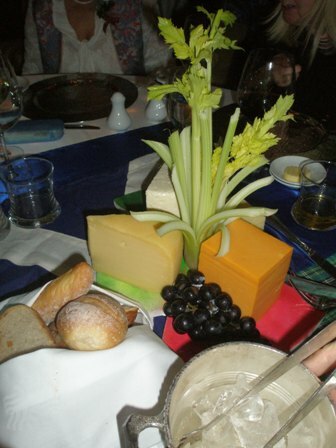 We enjoyed the haggis, neeps and latties, and had a jolly good time meeting old friends and making news ones. The highlights were ‘The Toast to the Lassies’ delivered by our good old friend Rab Thomas and the reply, ‘The Lassies response’ by Kirsty Hastie Smith. Both excellent speeches which delighted the audience. All kind of entertainment followed, songs and poems performed by Dan Fagan, Kirsty Hastie Smith and Mike Brooks. I do not remember all the details any more, because the bottle of Ballantine’s Whisky on our table found its way into my glass. I only took a photo of the Scottish cheeses but the food was delicious overall and I liked the sea-bass entree, the broth and the haggis as well as the dessert. Way after the official end of the event, we somehow made our way home successfully, utterly satisfied, we had had good food, plenty of drink and great company. As every year my pledge is to read some more of Robert Burns’ poems. Also German Celts from the Mosel can enjoy and appreciate Scotland’s favorite son, the Ploughman Poet, the Bard of Ayrshire. If you have the chance to somehow somewhere be invited to a Burns Supper, accept the kind offer and engulf in Scottish tradition. 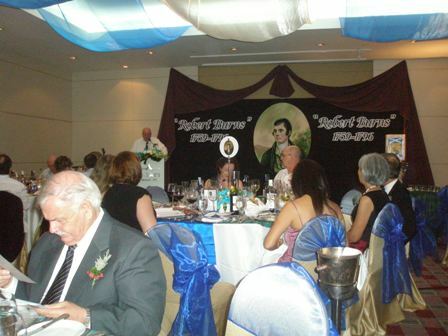 PS: My first Burns Supper was in the early 1990ies in the Palace Hotel in Beijing. During my recent visit, I passed by reminiscing about golden days gone bye. The hotel is renamed now but the large flower pot near the entrance which was generously nourished by my old friend, the late David McGrath, when we took our bodies home at 4 in the freezing winter’s morning, was still there. As always when I visit Beijing, I pay a visit to Brian Wallace, the director of Red Gate Gallery, my most favorite art gallery in China, and beyond. After about an hour of talking and catching up about Beijing’s art scene (and a quick box lunch), we also started talking about good food and inadvertedly talked about Michelle Garnaut and her newest restaurant in Beijing: Capital M.
Ever since Michelle started out in Hongkong in 1989 with 500 Dollar in her pocket but many good ideas and opened M at the Fringe, which won the Hongkong Dining Awards in 2009 as best restaurant, she has made a name for herself in restaurant and entertainment circles. 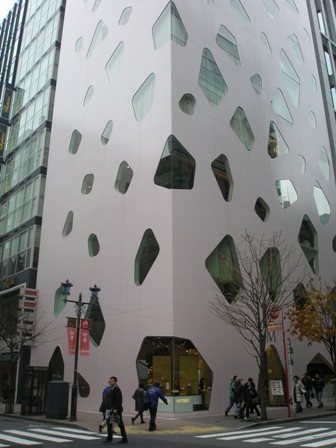 In 1999 she opened M on the Bund and later The Glamour Bar – self-declared as “Shanghai’s Sexiest Bar”. Unfortunately Michelle was not there when we entered the bar early that afternoon for a glass of bubbly. 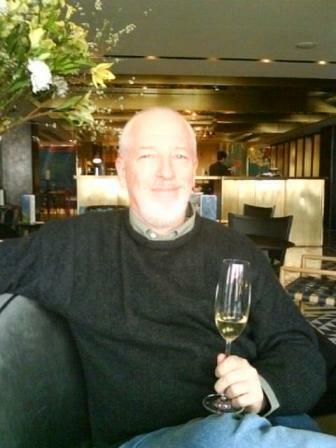 Brian treated me with a bottle of Taittinger. But first he showed me around so that I got an idea of the place and its stunning views. We had a great time. 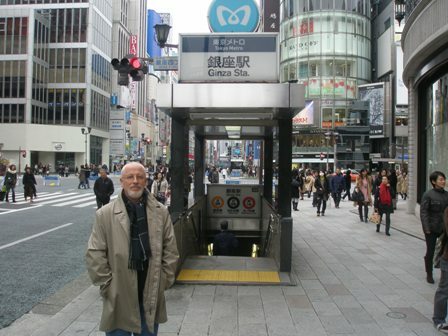 When flying from Tokyo to Beijing, I thought of the many blog entries which I would create over the weekend in the Chinese capitals. When visiting China in mid December last year, wordpress (to my surprise) could be accessed and I produced some pieces for The Man from Mosel River. But not so this time. The censors barred any access and I could not update you on any development. You might have notices that my stories are heavily dependent on the photos which I take. In fact it is all about the photos, and I weave my stories around them. I always take my little but now old Olympus digital camera with me. Sometimes the shots are not worth being used and I always take more pics than I might use for any story. Well to cut a long story short. The flight was only half full. I leaned back and contemplated about the week’s program in Tokyo and the many interesting discussions and exchanges we had had. 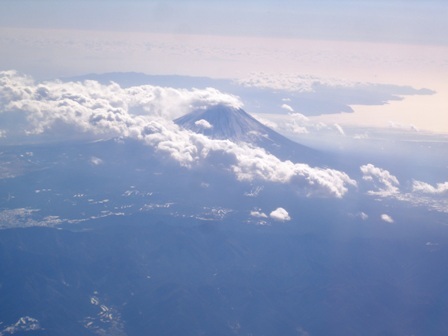 Then very of a sudden I realised: we are flying past Mount Fuji. I rushed to get my camera and took a couple of shots of the majestic sacred mountain. All Nippon Airlines was generous with food and drink. 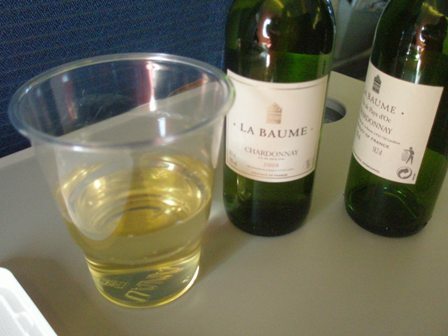 I had quite a few bottles of French Chardonnay, the best you could get in economy class on that flight. I toasted the gods on the mountaintop, utterly content. 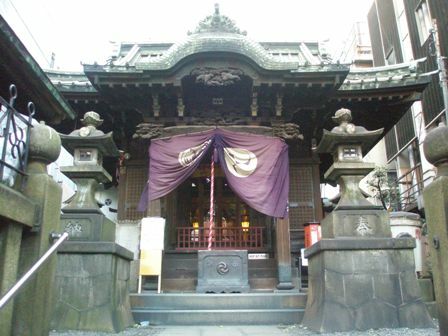 A place for introspection and worship and…..
Nestled away near Shinagawa station in the bustling city of Tokyo there is the Takayama Shinto Shrine: a place of quiet contemplation, a place to worship, a place for introspection. 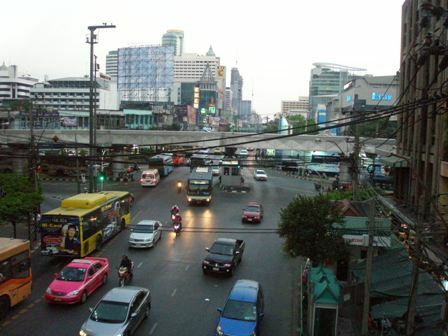 Just a quick turn from the main street, climb some stairs, and you can escape from the city, the noise, and the traffic. Amazing. I love these havens for the soul. And right next to it, the JR station Shinagawa, with its many people, busy like a beehive, a group of young Japanese beauties are celebrating their 20th birthday in style. What a wonderful world this is. Life is beautiful. No wine for me today. You are currently browsing the The Man from Mosel River blog archives for January, 2010.